out of the Challenge Cup at the semi-finals stage not too many years ago. The two clubs also met in the final at Twickenham in 2006 when Saints cruised to a 42-12 win. 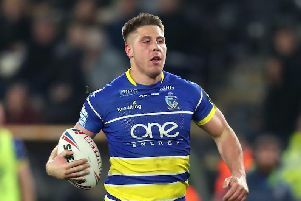 The outstanding tie of the sixth-round draw, which was made by former St Helens duo Paul Sculthorpe and Jon Wilkin, is the clash between Warrington and Wigan in a repeat of the 2018 Super League Grand Final. There will also be a West Yorkshire derby, with Championship club Bradford drawn at home to Leeds. 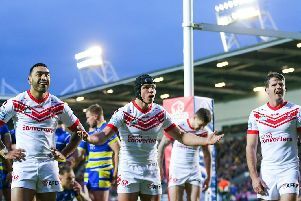 The ties, to be played from May 9-12, are: Salford v Hull KR, Dewsbury v Halifax, Warrington v Wigan, Bradford v Leeds, Hull v Castleford, Catalans Dragons v Doncaster, Huddersfield v St Helens, Wakefield v Widnes.